Do you love teaching Data Handling? I just ADORE it!!! It is one of my absolute favourite maths topics to explore. It is so much fun and serious cute too! I always block my data handling and tie it into fun, seasonal themes. I did a graph a week for the month of October on a Halloween Theme. We created Halloween themed graphs about spiders, ghosts and bats. It’s so much easier to get children buzzed up about data handling when you explore it thematically 🙂 I also feel that children understand more fully the use of graphs and graphing when it is linked to something meaningful in their own lives. Because I am mildly OCD on linking lessons I also try to tie my Data Handling into the story that we were reading for the week e.g. Aaaaargh Spiders and a graph about spiders. I simply cut out the title and stuck it to a sheet of poster paper. Pupils stick their ghost under the column that applies to them. My class seem to be particularly brave. Not one of them said that ghosts were creepy!! 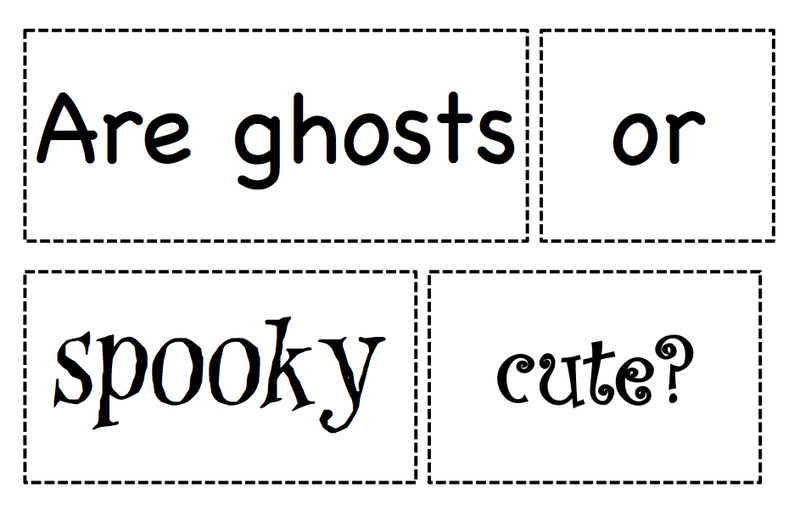 Mind you, I think that the ghosts above are particularly cute. They are from the Enlightened Elephant. Data Handling naturally lends itself to making comparisons and naturally creates language rich Maths Talks. We stopped periodically to predict which column would win and why, what the difference was between columns, what difference one more vote would make to each side… Lots and lots of math talk was generated. I also love it when children spontaneously use maths language in their response. “I predict that creepy will win because it has more” or “I predict that cute can’t win now because only 2 children are left to vote and that’s not enough to win”. Talk like that just blows me away!!! Oh yeah, the use of the word “predict” ties in with the Reading Comprehension Strategies we are exploring. It’s a great lesson opener or transition activity. Really simple, clear and child friendly. I like the fact that you can cover a huge variety of classifications and comparisons in one game. It covers: size, number, letters vs numbers, colours, shapes, spots vs stripes… I also like the way that it integrates letter sorting. Sneaky and clever at the same time! 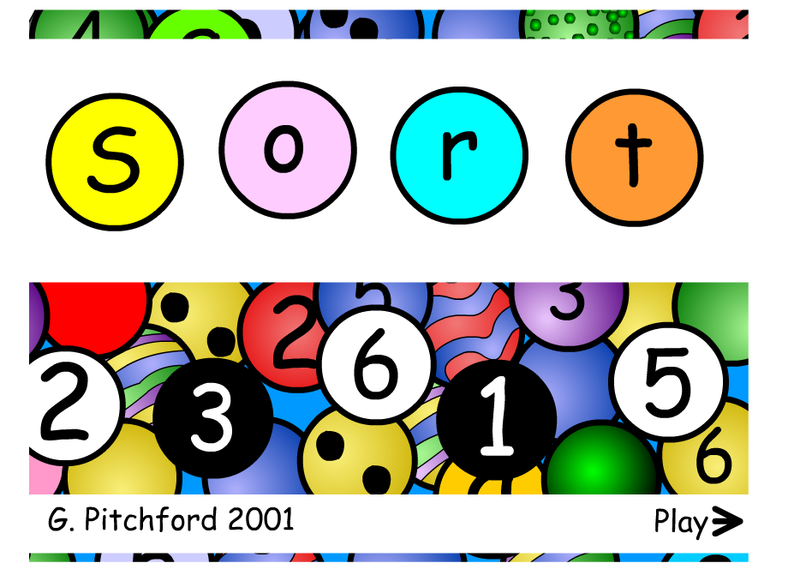 “Sort” does cover “odd” and “even” numbers but you can easily skip ahead if not applicable to your class grade. If you are teaching Junior Infants or the parent of a Junior Infant child then I would encourage you to bookmark it. This sorting game would be fantastic for an end of year review/assessment. In the “Sock Pairs Game” simply drag the matching socks to the basket. It is not as simple as it first seems. There are only subtle differences between some of the sock pairs. Children need to concentrate carefully when comparing socks to create a matching pair. 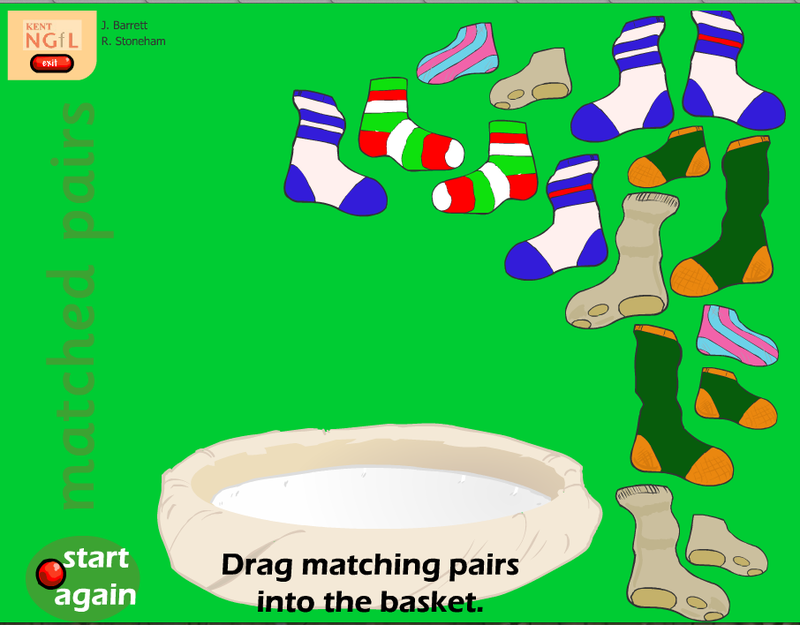 Why not get your pupils to bring in a pair of socks, mix them up in a laundry basket and have them match them. Who knew that doing the laundry could have such a profound effect on a child’s mathematical processes?!!!! 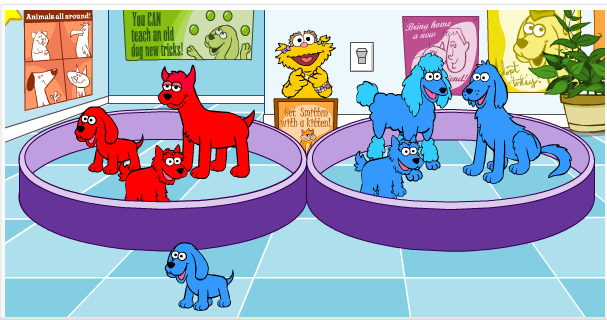 In “The Laundry Game” Elmo asks children to “sort” or collect his laundry according to colour and shape attributes e.g. the white socks or t-shirts with red circle on them. Children need to pay close attention to detail in order to find the correct items. 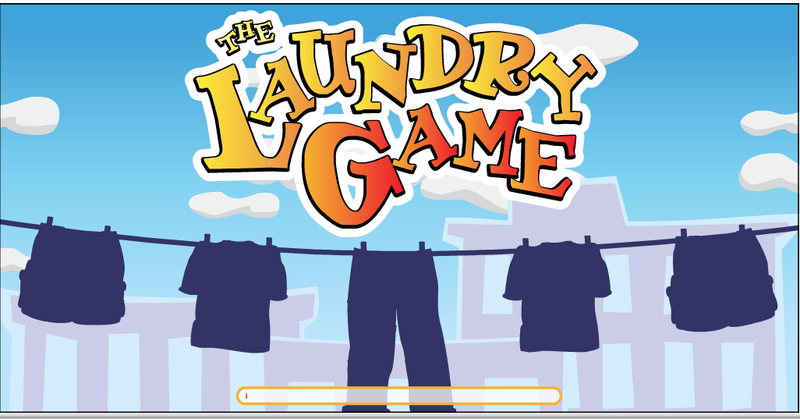 I played “The Laundry Game” it with my class the other day and ticked both boxes in my schemes of work :). My class loved it. We will definitely be playing it again. Check out the underwear on the line. Hilarious…! I came across this really interesting poster online and felt compelled to post it for you to read! It is one of the best summaries that I have seen. 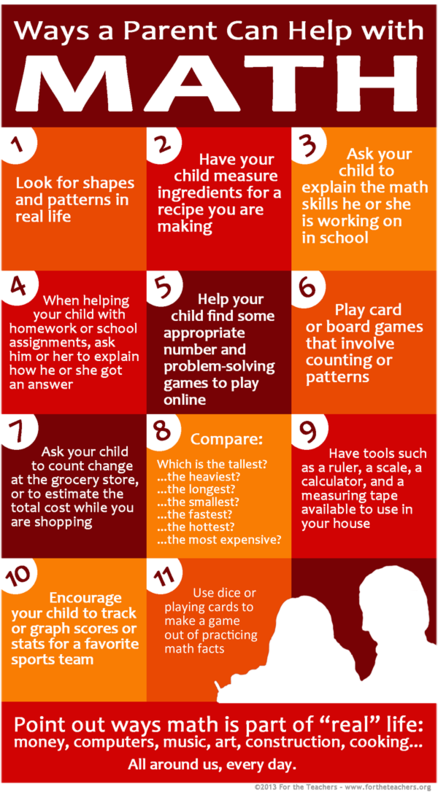 How many of these 11 Ways a Parent Can Help with Maths are you using already?! I especially love the closing statement 😉 Point out ways that maths is part of real life!!! Isn’t that why we teach maths anyway? It should never be seen as something that belongs between the pages of a textbook. Maths is all around and a hugely important life skill. Just a thought…. 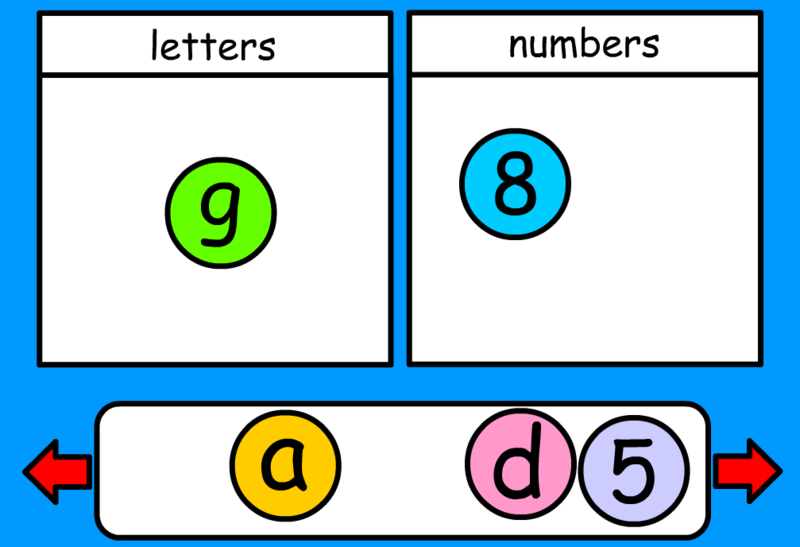 We will be making closed sets where the teacher defines the sorts and gives the category by which the items will be sorted. Once children are familiar with the concept of classifying objects we will move onto open sets. Children will decide for themselves how to sort the objects in front of them. This encourages divergent thinking, problem solving and logical thinking. thing we find in the sky, on land, in the sea. There are a staggering number of ways that things can be sorted into sets. Sometimes children amaze me with the classifications that they create during open sets. Often they see ways of sorting that I had never thought of! Can you guess the rules for the set below?!!! 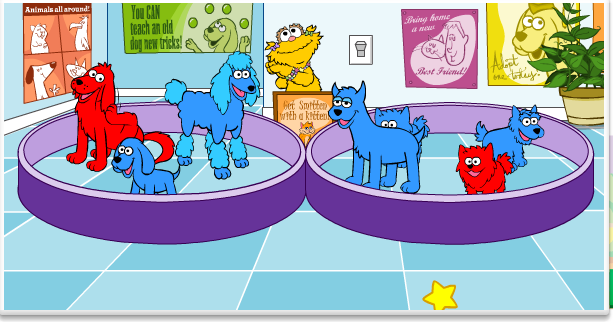 Click here to play Zoe’s Pet Shelter! I am crossing my fingers and toes that my school laptop will be replaced by Monday so that I can play these with my class. It completely died on Friday afternoon and I am frantic. I use my Interactive Whiteboard all the time. Last year it was out of use for a few months when the bulb went. Then my laptop went shortly after the bulb was replaced. The computer memory was wiped and returned to me minus my work!! I have way, way too much to back it up on a USB! Now its gone again one day into the new school year! I am cracking up!! Sorry for the rant. It might not have fixed the computer but it sure make me feel better?! Anyone else in the same boat? 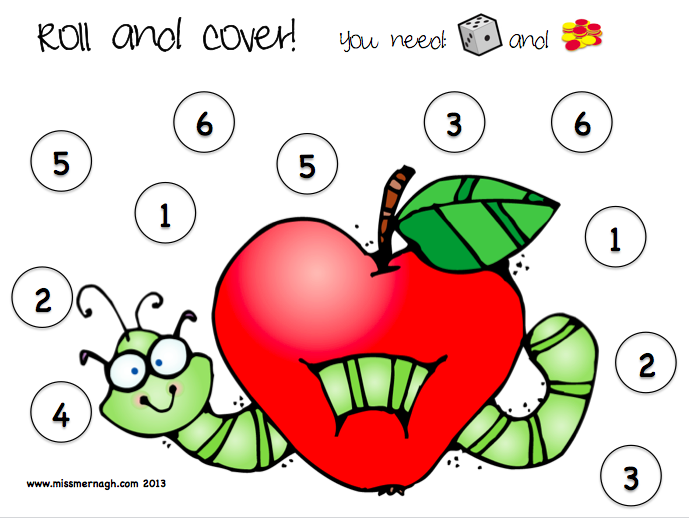 Even more Roll and Cover Games! 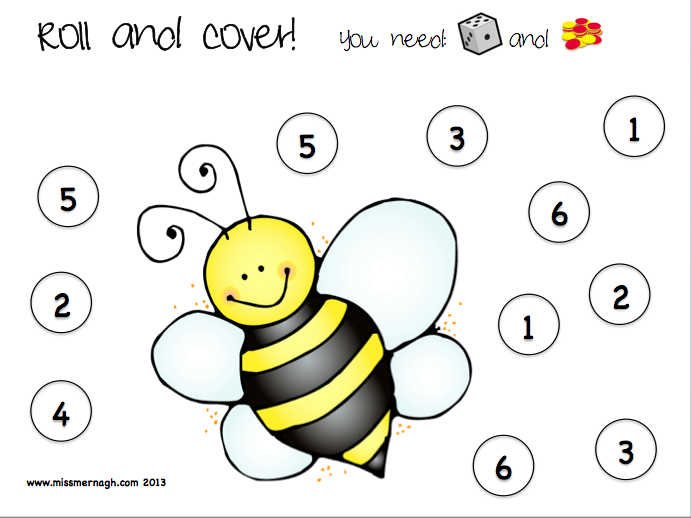 I have been asked to create some Roll and Cover Games that are in full colour. It seems that lots of you have colour printers at your disposal. Lucky you! I am still living in black and white land with my printer at home and at work. 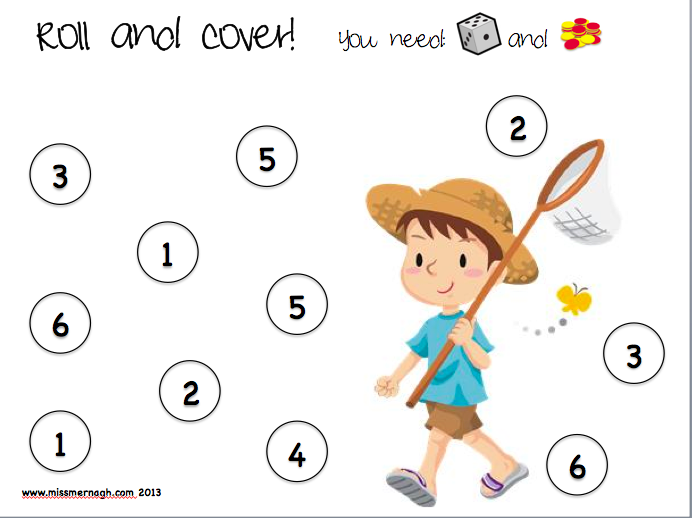 Here are some Roll and Cover Games that are full of colour and summer fun! 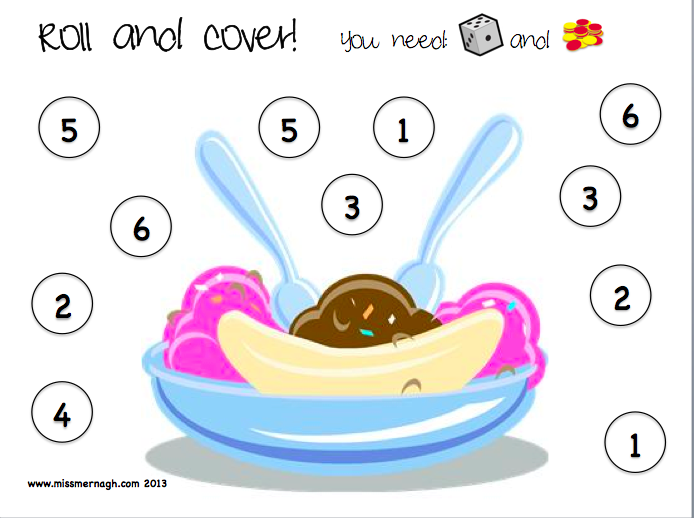 I hope that you have lots of fun playing my Roll and Colour Games. Any requests? What theme are you using this year? Please leave a comment below!